Roger Sikhakhane (30 November 1975 - 03 November 2018) was a South African football coach. He rose to prominence for guiding Chippa United to the South African Premier Division in the 2011/2012 National First Division Season. 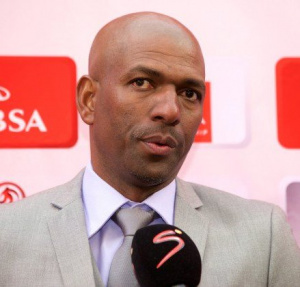 Roger Sikhakhane would go on and successfully guide Thando Royal Zulu to a promotion to the South African Premier Division, however, that club sold their 'premier division status' to AmaZulu. At the time of his passing he was contracted to Royal Eagles but have been out of action for two months due to illness. This page was last edited on 8 November 2018, at 11:52.